Our Consultancy Approach is underpinned by Research. Over the years we have researched various areas relating to our work on the Management of Strategy, Performance and Change in organisations. Some is published. Other parts we share only with our clients. Interviews with high performing executives. Keeping up to date on the latest management thinking through books, academic publications and thought leaders. Reading around the subject in areas such as behaviour, economics, psychology, sociology and learning. Critical review of our own work with our associates & clients. (There are further details of these research areas below). Despite all this, we still talk in plain English. I have been fortunate enough to interview over 220 Executives, from over 60 organisations, exploring how they manage their strategy, people and performance. I have worked with organisations as diverse as investment banks and small charities, international retailers and city councils, the NHS and dot.com start-ups. In recent years, with both interviews and client engagements, I am seeing shifts in the approach successful executives and managers are taking: Most organisations have adopted various strategy and performance management approaches. They served us well in good times. Though the successful executives also realised that those techniques were necessary for good performance, but certainly not sufficient for good performance. When the credit crisis hit, many were let down. Insufficient warning. Too narrow a view. Hard to change direction. Hard to change behaviours. They realised that the world moved on… and so must they. Consequently, they moved away from some of the assumptions, practices and ways of working that failed them. These successful executives are moving towards approaches that give their organisations much more agility and responsiveness. Approaches that engage their staff better, improving their judgement and decision making. Approaches that focus on behaviours, not simply measures and targets. Approaches that help the people and the organisation become more effective and competitive; just as today’s world demands. We have developed their thinking and ways of working into Excitant’s approach. You will find some of this in our Fourth Generation Balanced Scorecard approach. Other parts you will find in my books and on this website…. …but if you really want to learn the lessons of these Successful Executives and Managers, so you can apply them in your organisation, then we’ll have to work together. Open up the toggles below to find out more about our research in each area. Having worked for the originators, Norton & Kaplan, this is a central focus of our research: moving forward the thinking and application of the balanced scorecard approach as a tool of strategy implementation and strategy management. Agile Strategy Management processes and Management behaviour: Increasingly we find that organisations are moving towards a more agile way of managing their organisation and managing strategy and planning. Especially since the financial crisis. 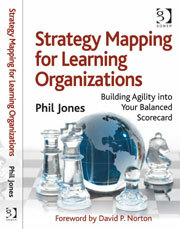 Publication: Strategy Mapping for Learning Organizations: Putting Agility into your Balanced Scorecard. Working on strategy with many management teams, in many organisations, across many industries, over the years, has tuned our awareness to the variety of ways of thinking about strategy. It has also made us aware of the many ways in which to manage strategy and its implementation in organisations. Developing the quality of conversation about strategy in organisations; amongst the executives, through the organisation, amongst teams and with customers and partners. 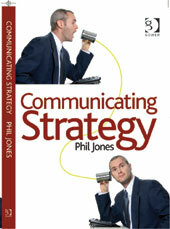 This work has led to the development of our “Strategic thinking course”. It is fundamental to our approach to facilitating strategy development workshops with clients. It also informs how we help clients develop a more flexible and responsive set of management processes around strategy, planning, budgeting and performance. For a long time we have held the view “All plans should be burnt“, because it is what is in people’s heads that matters as they execute strategy on a day to day basis. This naturally leads to the question, “How do we communicate our strategy effectively? For this work we interviewed various executives who have managed change in their organisations about how they thought about the communication of their strategy. We also went to the research on communication as well as the practical experience that we have seen and experienced through our consultancy. The research continues, focusing on the socialisation of strategy and particularly the role of Social Media in organisations. The Public Sector is undergoing major initiatives to dramatically cut costs, whilst protecting services and its underlying capability to deliver. We believe this requires fundamental changes to Public Sector service delivery models, ways of working and and collaboration and partnerships. Improved Governance covering: Strategy, Operations, Regulation and Risk. Improved benefit mapping that avoids the problems of the simplistic inputs, outputs and outcomes approach. Creating joined up working within and across organisations. This includes working with third sector and commercial organisations. We already have a considerable number of case studies of successful Public Sector and Not-For-Profit implementations. We have also developed training courses and briefings specifically for Public Sector and Not for Profit organisations. 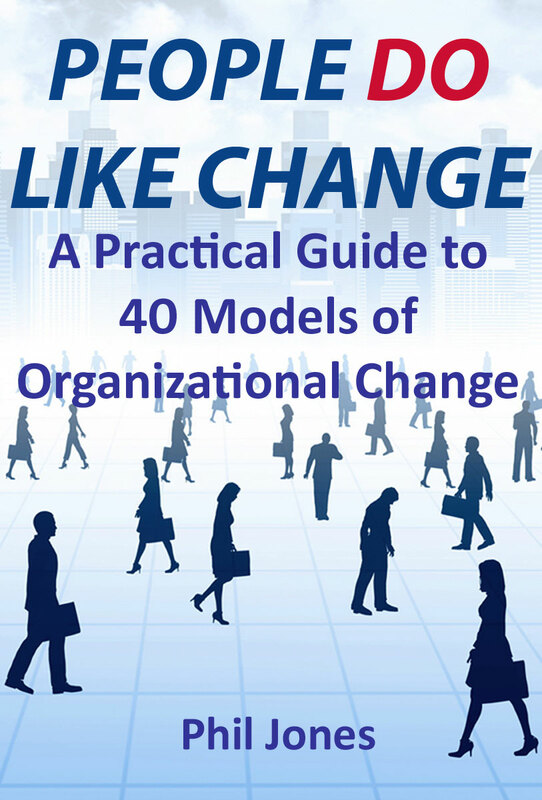 In any strategy, performance management or change project it is vital to understand the explicit and implicit models of change. We were getting very positive comments about the amount of change we were creating in organisations, but we wanted to be more explicit about the models of change we were using. This would make us more effective and also make it easier to pass these change skills onto our clients. It would also inform the behavioural aspects of our work on fourth generation balanced scorecards. This research was designed to understand the range of change models that are out there so that explicit choices could be made about the choice of models in use, and also to provide alternative choices. This work informs a lot of the behavioural and cultural change work that our projects involve. The purpose of this research is to understand how excellent managers are identifying, changing and developing the persistent, learnt, and socialised, culture and behaviours that support how performance is really managed in their organisations. It is leading towards a book with a working title of “It’s about behaviours, stupid! Developing a Culture of Performance”. The most obvious way in which the performance of an organisation is managed is through objectives, measures, and targets, where meetings review progress, instigate projects, agree actions and ensure the actions are completed. This assumes that measures motivate, what gets measured gets managed, and what has targets and incentives will be done first. This is the obvious part of performance, but it is not as effective as this simple view would suggest. It has even been known to be counter-productive. You do have to have this basic discipline of performance. It is necessary, but not sufficient. Far more subtle influences are at work: the ‘culture of performance’. The culture of performance embraces and governs the discipline of performance. It is a far more pervasive influence. It can make the organisation a special place to be, or frustrate any attempt to change. It includes the behaviours that managers encourage, the expectations that are set, the boundaries of behaviour, the permissions to act and the stories of ‘how we work around here’. It includes the explicit and implicit messages that accompany targets, incentives and rewards. This all creates learnt beliefs and behaviours. It can be hard to identify how they were learnt and how they can be changed. How do Executives explicitly create, re-educate, and changed this culture of performance? Created an exceptional climate of performance in their organisation. Implemented significant behavioural change, sustaining that change, to change performance. Experienced significant external change that required changes to previous learnt behaviours. We give talks, seminars and briefings on various aspects of our research and work. To get up to date with the latest thinking: Call us.